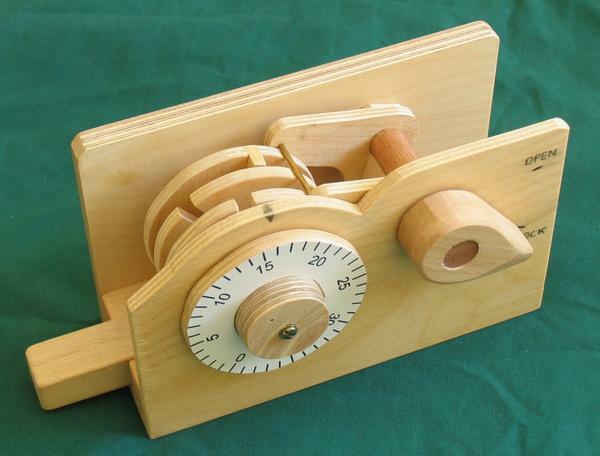 Woodgears.ca is a woodworkers site that displays different contraptions built by a keen woodworker and his peeps. Pictured here is a model of a combination lock they designed and built themselves. I think this is a great project for budding locksmiths apprentices and safe workers to understand how a typical safe combination works. It can also provide some hands on practise to budding manipulators wanting to practise their combination manipulation skills. Sure, it may look like a toy but the principle is sound and as a practise jig would be fun to work with, no? Oops - I Dropped My Keys In The Water - Help! Water sports enthusiasts rejoice. No more keys lost to the bottom of the lake. 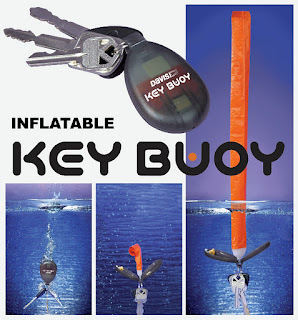 A talented Dutch boat enthusiast was perturbed at losing his keys in the lake so he decided to invent this intelligent floating key buoy encased in a small key fob. This unique and intelligent product will save the day for boaties or fisherpeople intent on recovering their dropped keys. It is a one time use item but it is effective at allowing you to retrieve your keys. 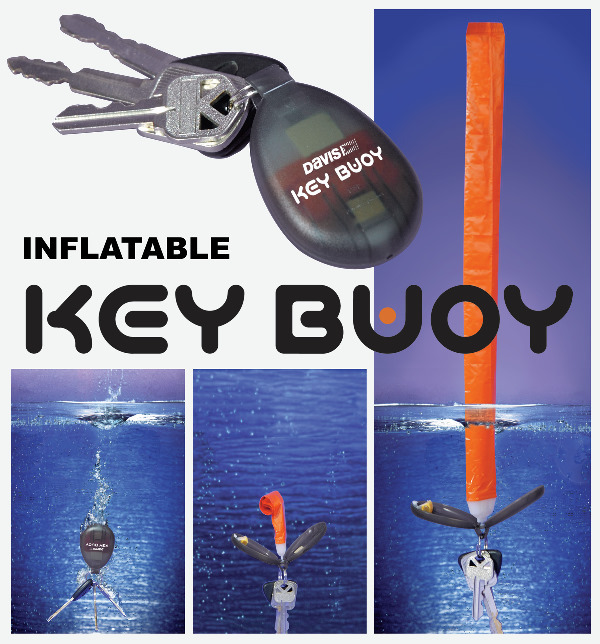 When your keys hit the water, the sponge inside soaks up the water and triggers the buoy into action, raising your keys to the surface. A bright colored marker rises above the water line allowing you to locate it easily and save your day. I personally have used their products for much of the last 30 years in the business and have no hesitation in recommending them as the number 1 source for locksmith machinery equipment and inventory. The range of keyblanks manufactured far surpasses many competitors in the field. The quality of product is second to none. In fact, many of the available machines sold in the USA are often re-branded Silca machinery. If you are in the locksmith business you will be aware that Silca are indeed the most respected manufacturer in the field. From hard to locate keyblanks, to exquisite and precise machinery, to modern electonic keys, Silca are well known and respected worldwide as the standard setter in the field. Yale Lock Co., a subsidiary of Assa-Abloy, the worlds largest lock manufacturer are testing this concept residential door locking system designed to modernize the way we use our doors. NFC is an acronym for Near Field Communication. Companies like Google have been at the forefront of introducing this technology to enable our mobile phones to be used as mobile wallets, keys and other access devices for a few years now. Perhaps the future of mechanical keys is limited although, with respect, I believe that maintaining the mechanical key option will ensure you can still operate your lock in the event of electronic or battery failure. With the world starting to embrace wireless electronic security, it is still not as green or environmentally minded as pure mechanically operated keyed locks and handles. Many consumers may enjoy the convenience of not having a key to use or lose, however the ongoing maintenance cost and service costs massively outweigh the little cost option of mechanical keyed systems. So - You Want To Buy A Safe? Are You Sure? Back in January 2011, we posted this video and received a significant number of hits and emails about it. This interesting video in German (subtitled in English) shows exactly why you should purchase a quality safe from a quality specialist lock or safe provider. Many of the types of safes found in this video are available at main stream big box vendors like Home Depot, Lowes, Costco, Wal-Mart, Target, K-Mart, Harbor Freight, Ace Hardware etc. Basically the video in itself helps to explain the value of purchasing your safes at specialty retailers like locksmiths and dedicated safe companies. Face it! Too many people have decided to keep their cash and valuables at home rather than the bank. At home you are less protected but have the benefit of convenience and around the clock access to your valuables. Worse still is that most burglars know this too. I think it is especially troubling how easily the expert found the mans safe in the first place he looked. If you want to have and use a safe, isnt it worthwile to spend more to protect your valuables than $50-$100? My video skills are not too impressive but these short clips show you a use for the Meroni Luccotto modern day padlocks. These excellently designed padlocks are quite unique in their design and can be used in many varied applications. The Meroni Luccotto range come in 2 sizes (lengths) and are keyed using a tubular pin tumbler key system. They can be ordered keyed to differ or keyed alike. We have been extolling the virtues of Shatter-Gard window film products for a short time lately and are still conducting our own tests on this fabulous product. Saf-Glas are a manufacturer of world leading modern polycarbonate glazing products that are so tough that they can virtually prevent any window from being smashed. Window smashing is well known as one of the primary methods of entry in burglaries. There are a few manufacturers of products designed to reduce the likelihood of this security breach, one being ShatterGard, that we are proud to offer. But if you were to install these type of secure windows during construction of your buildings you will mitigate the potential for suffering a break in from this method, almost completely. The video above is an excellent example of how and why polycarbonate glazing products are so good. Many window manufacturers today build double glazed windows with an Argon gas layer between the frames. This is to reduce the heat or cold from getting in. But these windows need to be sealed correctly too. We receive a significant number of calls from people who need seals replaced because of moisture getting between the frames. We do not provide this service. We also receive numerous leads from people who experience glass breakage due to a stone thrown from a lawnmower that breaks the sliding patio door window. We do not replace glass. Many customers think that replacing the glass in a sliding door is a simple and quick task. Unfortunately it is not, especially when you consider that most windows today are the Argon filled double glazed types. Most replacement windows require to be custom built to suit the application, hence why windows and frames can be quite expensive. Consider installing polycarbonate glazing as an alternative to typical windows. It may be more expensive initially but in the long term you will save considerable pain and anguish let alone replacement window costs. The tornado that hit parts of St Louis, Missouri at Easter last year, smashed many of the glass windows at St Louis Lambert International Airport, effectively closing down part of a terminal for close to 6 months. This could have been prevented if builders had used smash proof and tornado resistant polycarbonate glazing products as opposed to glass. If only we could have the benefit of hindsight to give us 20/20 vision. Village Defense, an Atlanta based startup have recently modernized the neighborhood watch program system, popularized at the end of the last century. 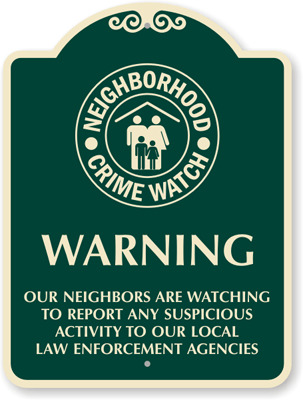 Remember when we actually knew our neighbors well enough to watch for suspiscious activities in our neighborhoods and worked together to protect each other? Well, Village Defense is the brainchild of Nathan Black, a Georgia Tech engineering graduate who straight out of school created his vision for modernizing the ages old Neighborhood Watch program that was so popular last century. Simply put, Nathan devised a system that combines modern communications technology with concerned neighbors action. The system is designed so that if or when a neighborhood resident witnesses or hears a crime in progress, they first call 9-1-1 and then the Village Defense hotline. 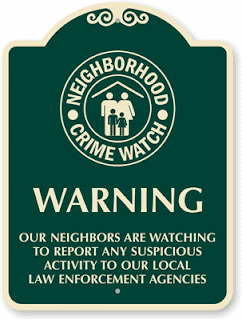 Village Defense then contact all neighbors in the program to inform them of the criminal activities using cell phones and email alerts. Would you even know if a crime happened in your street? How do we find out about crimes in our neighborhoods? Usually it is through the local newspaper or police bulletins and quite often, at a significantly later date. This kind of physical security product is an important weapon in defending our homes I think, because it immediately alerts us of criminal activity and can allow us to be better prepared to protect ourselves, no? Our very popular Cowdroy P697 Keyed Pocket Door Lock has been selling like hotcakes. We recently revealed our discovery of 3 more units hidden in our inventory. We are down to 2 units left now. Due to significant demand and various customers contacting the manufacturer we have negotiated a new deal and expect to recontinue this product offering in the very near future. Pricing details will follow soon, but we expect to have new inventory within 3 months. EDIT 03/04/2011: Product has arrived. Early last year, we communicated with a discerning customer from Australia intent on purchasing and installing Meroni hardware on their new home. We communicated back and forth over a period of time, to determine suitable options and solutions, tailored to their specific tastes and desires. Being a considerable distance away made it difficult to accurately see the site to determine solutions easily . The result of thorough questioning, enabled us to find a suitable solution to their needs and we transacted a solution that made them very happy. We recently received an email from them with some pictures of the completed and installed product, that we attach here. As you can see, the product looks amazing and is easy to use and fully functional. Pictured above is a Serrature Meroni Combina K13 Entrance set in US26D (Matte Chrome) with an LR (Kelon - Red) cover button. This is the inside of the door. Here (above) is a picture of the outside of the same door. Pictured above is a picture of the house's entry door with another Serrature Meroni Combina Entrance set in US26 (Polished Chrome), both body and upper cap. The deadbolt above the Meroni is a Lockwood 005 Paradigm deadbolt. Brrrr.....winter has hit Missouri and it's been snowing for most of the last 36 hours. The cold weather snap has reminded me about a recent article I posted here about Neverwet Solutions. The Neverwet product is due to be released in early 2012, commercially. A few years ago, shortly after moving here and not being familiar with such a cold climate, I experienced the calamity of power failures due to extreme ice and snow during a winter blast that tormented the whole region. With power lines coming down and electrical transformers blowing due to excessive ice buildup, the power and emergency services were run off their feet trying to repair and allow consumers to warm up. Some counties were without power and heat for days to weeks. 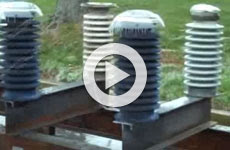 Neverwet have produced another solution that may allow for similar episodes to never be repeated, if the power companies coat their electrical circuits and boxes in their anti-icing solution. The benefits of this product will change people's perspectives on waterproofing and protect doors, roofs, power transformers and lines from the harsh realities of the wintry forces of nature. I post this here because I believe that protecting our doors from the elements is a variation on security design. Not only should we protect ourselves from break ins, but also protect ourselves from the elements of nature that can threaten our health and comforts. 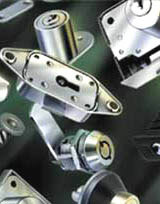 It is no secret that we have become the source in the USA for Meroni locking system products. We have been extolling the virtues of some of the unique range of Meroni handle designs like the Combina and Pigio and Nova handles. But do you know how Meroni first developed their market? A little over 60 years ago, Meroni began developing it's range of products in the Brianza area of Northern Italy, widely known as the epicentre of the Italian furniture industry. Meroni capitalised on their early entry to market by developing long term relationships with many of the leading Italian furniture manufacturers. Italian produced furniture products are known internationally for their quality of workmanship and leading style designs. Adopting Meroni products became an excellent fit for many of these companies and the relationship continues today. In fact, many of the furniture locks you see by other manufacturers worldwide are based on the original designs that Meroni produced over the last 60 years. It is no wonder that Meroni continues to be the undisputed leader in it's field with most of the leading furniture companies still preferring Meroni locks for use in their pieces. We recently provided a range of master keyed cam locks to a discerning buyer for use on an oil platform, that required to be made to very exacting keying specifications. Sure there were many choices on offer for this company, some that were even considerably cheaper. But with the depth of Meroni's expertise and reputation for quality, we were able to provide the perfect solution in the required urgent timeframe. Another satisfied client. The Meroni catalogue today lists over 7000 items designed for the furniture sector. The enormous choice allows for furniture producers to find ready-made solutions for virtually every need, in a product range that offers a vast spectrum of sizes, materials and finishes. cooperation with the marketing and design departments of its customers in the furniture sector have enabled them to develop a exceptional capabilities in the analysis and resolution of every kind of design problem. Being able to grasp design requirements immediately, propose solutions and introduce rapid adaptations are key competencies of the Meroni design office. For this reason, in those cases in which the extensive choice of existing products is not able to meet particular needs, Serrature Meroni's technical centre is always available to create a tailor-made solution. This flexibility is one of the company's strengths and a source of competitive edge for those companies that approach Meroni looking for a creative work relationship and a complete range of design and marketing services. An interesting solution just came across my desk that purports to be one of the simplest and most competitively priced access control systems in it's class available today. The Guardian II is a stand alone system enabled to work with electric strikes, magnetic locks and other door entry products. There are four options as explained in the video, to suit multiple different application parameters. One of the better options with this simple system is the localized audit trail abilities. An administrator can easily determine who and when a controller has been operated. These products are available from leading access control and locksmith companies. We recently received our test sample of this fabulous product and are putting it through our internal tests. So far, it seems to be the real deal. The incidence of break in is rampant across America and due to many Authorities Having Jurisdiction (AHJ's) insisting on property owners NOT using double cylinder deadbolts to secure entry ways that have glass near the door locks (life safety and building code regulations), products like ShatterGard, that actually prevent the smash and grab technique, are being sought for more widely. If you have ever been broken into, more than likely you have suffered either a smashed window or a door kicked in. The likelihood of having your locks picked, bumped or destroyed, while certainly increasing across society, is much lower than experiencing a kicked in door frame or glass breakage. Using the ShatterGard product and combining it with a Strikemaster II Pro door frame casing reinforcer, significantly decreases the likelihood of these two primary methods of entry. We are still testing ShatterGard and are looking to include in our inventory in the very near future. Japanese researchers have developed new technology aimed at preventing the incidence of automobile theft. 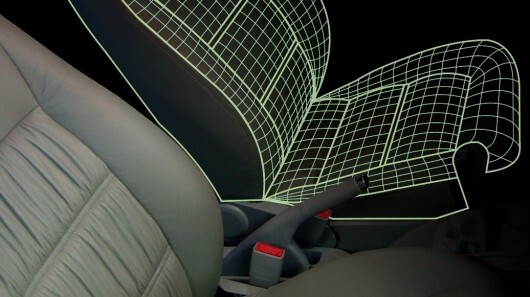 Seat recognition technology employs a range of sensors embedded in a car seat designed to measure key attributes of the driver. The technology is still in it's infancy but could lead to other advancements is security product design that passively protect our precious auto property. "The way the technology works is pretty simple. The seat is retrofitted with 360 different sensors. Those sensors take into account things like your weight, the highest value of pressure on the seat, and where you come in contact with the seat. The idea is that we all sit in car seats relatively the same way each time, so the seat should be able to tell who is sitting in it, ensuring that the person is the owner of the car rather than a car thief."